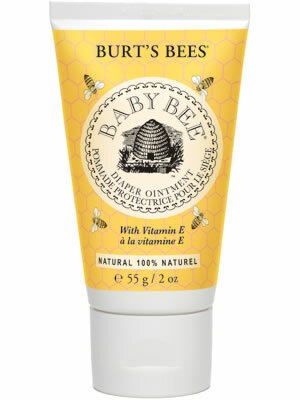 Burt's Bees Baby Bee Diaper Ointment is power packed with natural ingredients, such as Vitamin E, A, Zinc Oxide and Lavender Oil. Burt's Bees Nappy Cream provides a safe effective formula that can soothe tender bottoms and sweet almond oil and beeswax act as natural barriers to help protect your baby's most sensitive skin and provide an effective moisture barrier to prevent chafing and breakouts. This soothing diaper ointment is rich with vitamins A and E to help nourish baby's skin, while chamomile moisturises and soothes. Sweet almond oil and beeswax, natural barriers, seal moisture into your baby's most sensitive skin. Phthalate-free and paraben-free. Cleanse your baby's skin and pat dry before applying ointment to diapered area. Cold pressed from the dried kernels of the almond tree, this medium-weight oil is rich in olein glyceride oleic and linoleic acid, proteins and vitamin D, and is excellent for the skin and nails.